Crowdtap recently polled more than 500 U.S. adults to explore their shopping habits leading up to the holidays. With Black Friday behind us and the holiday season in full swing, now is the perfect time to dust off your favorite holiday DVD–or load it up on Netflix–and learn a thing or two about consumer behavior from Kevin McCallister, George Bailey and The Grinch himself. Below are three famous movie quotes that sum up some of the biggest trends that have emerged so far this season. Even at the tender age of eight, Kevin McAllister was already proving to be an astute consumer. 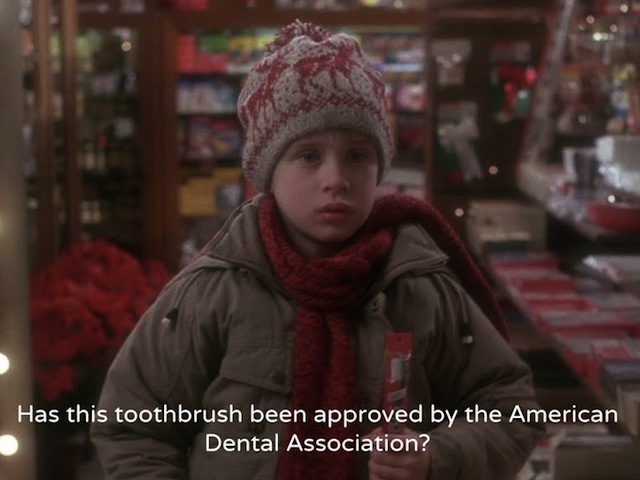 In this iconic scene from Home Alone, Kevin takes a solo trip to the grocery store and, upon purchasing a toothbrush, presses the cashier for additional information on the quality of the product. Similarly, today’s consumers are relying on third-party reviews to inform their holiday gift purchases. When we asked holiday shoppers which sources would influence their purchases this year, online product ratings and reviews emerged as the No. 1 response. In the study, 69 percent of respondents (71 percent of millennials and 66 percent of non-millennials) said they would browse product ratings and reviews before making their holiday gift purchases. Beyond vetting purchases against online ratings and reviews, holiday shoppers are increasingly using their smartphones to make on-the-fly price comparisons while shopping in-store. We found that 58 percent of shoppers we surveyed said they would use a mobile device to “showroom” visiting retailer’s brick-and-mortar locations. This number was significantly higher among millennials, of which 64 percent said they would use their mobile phone to compare prices. Marketer takeaway: Ratings and reviews sites are an increasingly important “stop” on the consumer path to purchase. Marketers can promote authentic, meaningful conversations by tying sampling efforts to review programs and encouraging samplers to share their genuine experiences with your products in social media and on brand and retailer websites. Who can forget this heartfelt line from the Jimmy Stewart classic, “It’s a Wonderful Life?” In the context of holiday shopping, most respondents–66 percent–told us that recommendations from friends and family would significantly influence their gift purchases this season. Among millennials, this figure was slightly higher (68 percent). Moreover, word-of-mouth recommendations were cited above newspaper or magazine features on brands and products (24 percent and 25 percent, respectively) and celebrity endorsements (15 percent). When it comes to conjuring up gift ideas for friends and families, millennials cited social media platforms like Pinterest and Instagram as the first place they turn for inspiration. We found that 27 percent of millennials said they would use social media to inspire gift ideas, compared with 19 percent of non-millennials. Across both demos–18 to 36 and 36-plus–e-commerce sites and retailer websites followed social media (26 percent and 21 percent, respectively), with traditional sources like catalogs and circulars coming in last at 8 percent each. Marketer takeaway: Word-of-mouth impressions are proven to drive at least five times the sales of paid media impressions (source: Return on WOM Study, 2014). By inviting consumers to become a part of brand storytelling, marketers can build stronger relationships while generating authentic conversations to drive short-term sales and long-term brand health. It’s a powerful moment when the ornery Grinch realizes the true meaning of the holiday season–and that it’s less about “things” and more about experiences. While moving product is the No. 1 priority for most all retailers this season, we saw some marketers launch efforts aimed at inspiring consumers to participate in a deeper brand experience. For example, REI’s #OptOutside effort, which has garnered 290,000 hashtag mentions, centered around an oppositional play by the brand to close all of its brick-and-mortar locations on Black Friday to encourage outdoor enthusiasts to get outside. It was a bold move, but one that perfectly reflected the values of the brand and its audience. While millennials are less receptive to traditional advertising, they still value brands, with nearly one-half of consumers 18 through 34 saying that brands play an “essential role in their lives.” People are increasingly defining themselves, at least in part, by the companies they admire and respect–and a big part of this is choosing to support brands that stand for something beyond what they sell. When we asked holiday shoppers if a retailers’ own values influenced their purchase decisions, 31 percent indicated that they only support brands whose values align with their own. Marketer takeaway: Brands are much bigger than promotions, and there’s more to your customers than their ability to buy stuff. People are increasingly supporting brands whose values align with their own, and are looking for ways connect with brands in ways beyond buying their products. Social media has granted holiday shoppers with new sources of gifting inspiration, the ability to make more informed purchase decisions and ways to connect with brands they love in more meaningful ways. The brands that win–this holiday season and in the future–will be those that view consumers beyond the impression, partnering with real people during each stage of the marketing process. Katie Perry is the marketing director at Crowdtap, a social engagement and insights platform, working with brands like Absolut, McDonald’s, Johnson & Johnson and more.